Welcome to a site dedicated to the memory of the 155th PA Volunteers. 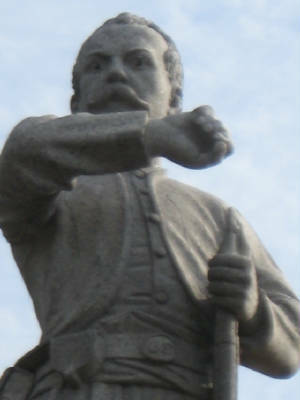 The 155th started their exsistance in response to the complete failure of the Northern efforts to put down the Southern Rebellion during the long summer of 1862, leading to the subsequent call of President Lincoln for 300,000 more volunteers to help preserve the Union from the Southern Rebels. The Citizens of Pittsburgh, and the surrounding area answered the call. Begining in September 1862, the 155th would be engaged in 28 Battles including Fredericksburg, Gettysburg, the Wilderness, Laurel Hill, Spotsylvania, Cold Harbor, Petersburg, and Appomattox. The 155th Pennsylvania Volunteers closed out their Service on June 2nd 1865. On this site you will find information on the the units history, where they came from, their uniforms, the monument on Little Round Top in Gettysburg, PA, the 155th PVI today, and more. If you have any suggestions,questions, or have information to share you can send them to pogue303@yahoo.com. 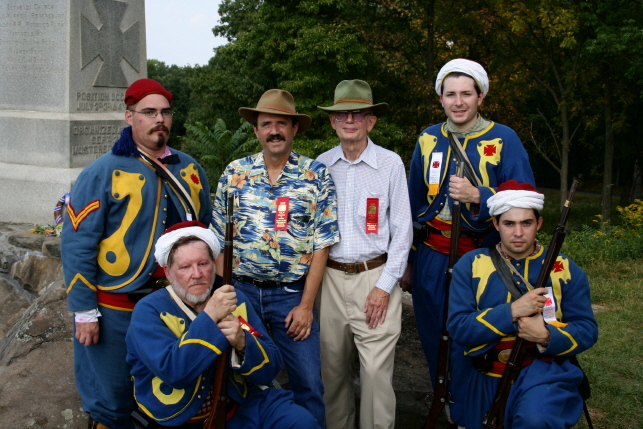 This site also operates as the home page for the 155th PA Reenactors, a group dedicated to preserving the name of the 155th. For more information visit the reenactors page or email us at pogue303@yahoo.com.